Across the U.K. uPVC doors and windows have become incredibly popular. Advertising them as maintenance free is not strictly true as manufacturers recommend lubrication at six monthly intervals. A squirt of of W.D.40 or smear of grease can greatly extend the life of the hinges (friction stays) and locking mechanisms. If doors or windows are stiff to use after lubrication it is most probable that adjustments need to be made to the relevant locking points. If left unattended this stiffness puts strain on the gearbox which will eventually break. 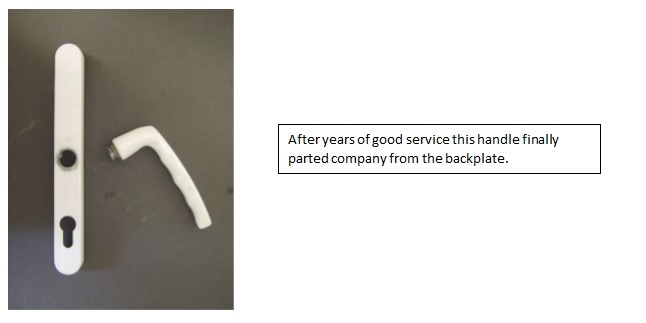 Maintenance is cheaper than repair! Often uPVC doors or uPVC windows become jammed in the closed position when mechanisms break, if you have this problem, ring your Local Locksmith - Legend Locksmiths - who are able to open them with specialist handmade locksmith tools and will then replace the broken part(s). If keys for lock barrels (euro cylinders) are stolen, lost or wear becomes apparent (the cylinders have become 'catchy'), they should be changed for a cylinder of equal quality, or upgraded. Door and window handles wear and eventually break. Badly adjusted doors and windows speed the wear process as more force is used on the handles to operate the locking mechanisms. We carry a good selection of branded handles for both uP.V.C. Doors and uP.V.C. Windows and will happily give you a free quote. Window hinges or friction stays can be renewed if they become buckled, worn or broken. In some cases it may be necessary to adjust the position of the friction stays to enable the window to open and close without catching. Sliding patio doors are not hinged but roll on rollers hidden in the bottom rail of the door. These rollers usually locate on a track at the bottom of the frame. Problems can arise when the rollers and/or track become worn. We are able to supply both rollers and tracks which we will fit at your convenience. 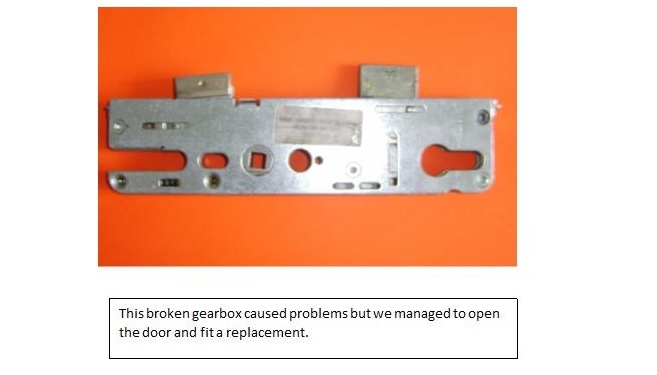 If the door fails to lock smoothly and easily, adjustments need to be made to remedy the fault before breakages occur. Like their hinged cousins they should be lubricated twice per year. Water ingress can cause unsightly condensation between the two panes of glass of Double Glazed Units (D.G.Us.). This happens when the seals break down or become damaged. 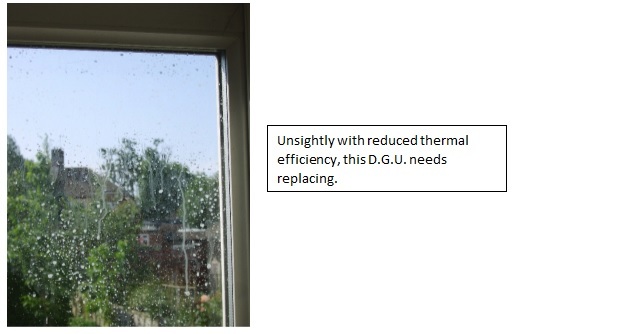 As well as spoiling the view through the window the thermal insulation quality of the D.G.U. is reduced. If you have this problem let us provide a free quote for replacement(s).